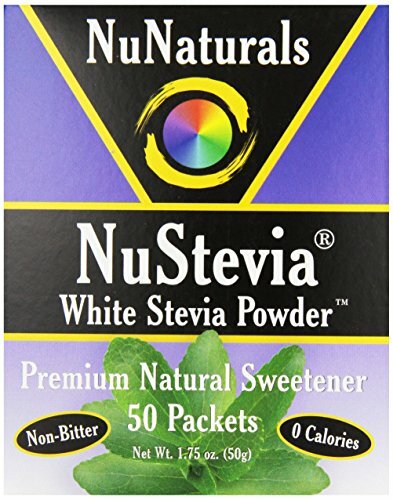 NuNaturals Nustevia White Stevia with Maltodextrin Packets, 50 count (Pack of 24) by NuNaturals at Your Daily Food Choices. Hurry! Limited time offer. Offer valid only while supplies last. White stevia extract powder contains the flowing agent maltodextrin, a food grade carbohydrate derived from grain. This form is perfect for sprinkling on cereal, yogurt as well as mixing in beverages. If you have any questions about this product by NuNaturals, contact us by completing and submitting the form below. If you are looking for a specif part number, please include it with your message.